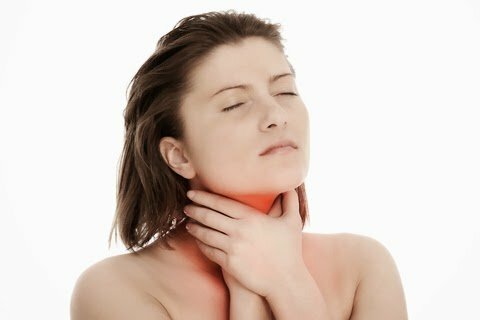 As a singer and someone who uses their voice, it makes sense to take very good care of your body and, specifically, your throat, lungs, and mouth. At the very first sign of a problem, you want to identify the cause and treat it quickly. However, it’s not always easy to determine what’s causing the problem with your singing voice. Let’s look at some of the most common reasons people develop issues with their singing voice. Stress – chronic stress – can and does have a detrimental effect on a person’s body. Not only does it raise cortisol, lower energy, and impact sleep, it also has an impact on your immune system. It lowers your body’s ability to fight illness. That means that the smallest contaminant like smoke, bacteria, or a virus, can make you sick and harm your voice. What can you do about it? Small changes in your lifestyle can make a big difference. You can try deep breathing for several minutes a day. Exercise, make sure you’re getting enough sleep, eat healthier, and exercise. Even a 10-minute walk outside each day can reduce stress and boost your immune system. Laugh. Find a good support network and talk with friends and family. Bacteria and viruses are all around you every day. Whether you have a strong immune system or not, you can still get sick. One of the best ways to prevent getting sick is to simply wash your hands. You’d be surprised how many times a day you touch your eyes or your nose, or you put something into your mouth with dirty hands. Washing your hands is a quick and easy way to avoid getting the common illnesses that cause voice problems. We’re talking about things like the flu, the common cold, and strep throat. Stay away from people who are sick. If you know that your friend or co-worker has a cold, avoid them. This may sound unfair or harsh, but you must protect your voice. If you do have to be around someone who is sick, wash your hands, or use hand sanitizer, and ask them to cover their mouth or nose when they sneeze or cough, or wear a mask. You might feel silly but that’s better than feeling sick during your next rehearsal or performance. By reducing your exposure, you’re taking one more step to ensure you don’t get sick and your voice doesn’t suffer. 4. What Are You Putting into Your Body? Finally, consider what you’re putting into your body. Pay attention to what you eat and drink and how it impacts your health and your voice. For example, you may notice that after you eat cheese you get congested, or that after drinking a glass of red wine your voice becomes hoarse. Food sensitivities can be subtle but they can have an impact on both your immune system and your singing voice. Paying attention can help you stay strong, healthy, and at the top of your singing game. Simple changes to your day-to-day habits and lifestyle can make an enormous difference on your health and your voice. Start protecting yourself against the common ailments that cause problems with your voice. Does your singing voice fatigue easily? Do you want to improve your vocal range? Would you like to be more comfortable singing and performing? Are you ready to take your voice, and your performance dreams, to the next level? If you answered yes to any of those questions then it’s time to take the next step – an important step – toward them. 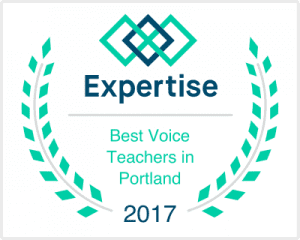 Confident Voice Studio offers complimentary consultations and assessments for individuals like you who are ready to work hard to achieve your dreams. Just fill in the form below to request yours today. At back to school night last week, she said she wants to be a piano player when she grows up.